Your gym membership comes with access to the spa area as standard. You will be able to unwind and relax using the facilities we have chosen with you and your comfort in mind. 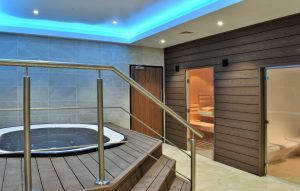 The Jacuzzi is a small pool full of heated water used for hydrotherapy, relaxation or pleasure. The Steam room and sauna share some therapeutic benefits. Above all, they both reduce muscle tension, promoting relaxation and general well-being. The heat helps improve circulation and, of course, promotes sweating, which opens up the pores and cleanses the skin. Steam rooms may be more comfortable for people with allergies or congestion in the chest or sinuses. 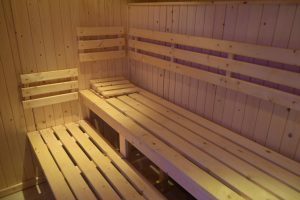 Saunas are the better choice for people with conditions that can be aggravated by humidity. The steam room is perfect for unwinding after a workout. This unit is compact to make the most of the space with large amounts of high-temperature steam, creating a high-humidity environment. You can sit in this room in a similar way to a sauna (conversely a hot, but dry atmosphere), for relaxation and possible benefits to health and well-being. The saunas heat helps to open your pores, which promotes sweating and cleanses your skin. The high temperatures promote blood flow and circulation, which can make you feel energized after a sauna, according to Harvard University. The effects on the body from sauna use may have some potential health benefits. Increased circulation may help reduce muscle soreness, improve joint movement, and ease pain. The heat in a sauna may also promote relaxation, which can improve feelings of well-being. Since the water level reaches the physical rim of the Jacuzzi, you can be sure of deep immersion in your Jacuzzi massage seat. The jets included in this Professional Jacuzzi are strategically placed for maximum hydromassage. They are all adjustable and differ in pressure and performance. 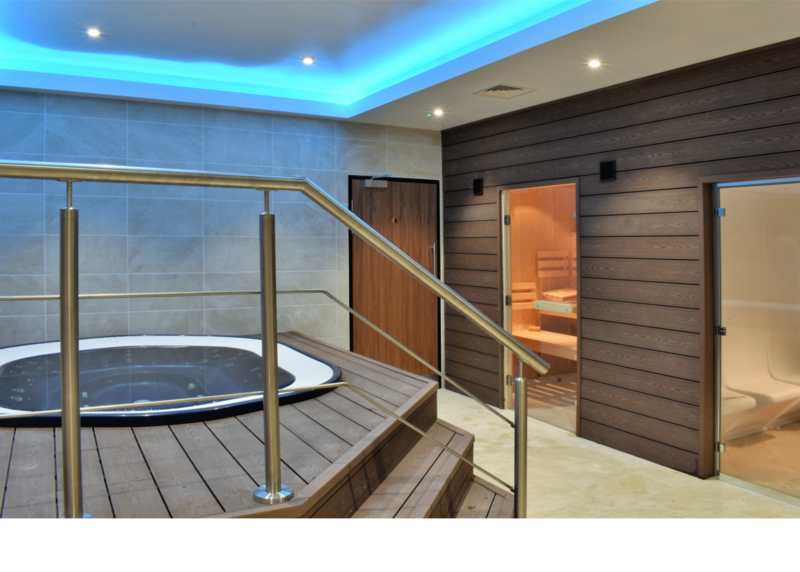 A wonderful benefit of using this Jacuzzi is that it is much quieter to run that others, as the working parts and the filtration processes are positioned away from the Jacuzzi.